Hogue's revolutionary O.M. series shotgun stocks are molded from a rock solid fiberglass reinforced polymer, assuring stability and accuracy. 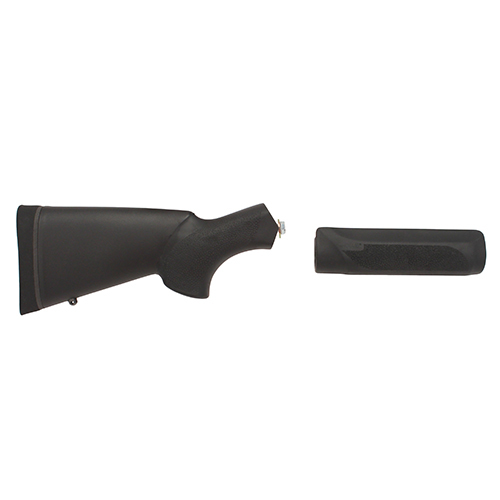 The stock and forend are then OverMolded in key gripping areas with durable but resilient rubber. OverMolding gives the stock the comfort and feel Hogue is famous for.